The month of June is on the horizon, which means summer is right around the corner. And not to state the obvious but summer is HOT. Reports are circling that this summer will be oppressively hot and humid – hence the hashtag, SOLAR VORTEX. I’m sweating just thinking about it! In fact, I’m already prepping myself for the sweltering temps by gathering a few Refreshing Frozen Treats recipes over at Foodie.com. Because let's face it - nothing beats the heat quite like a refreshing frozen treat! 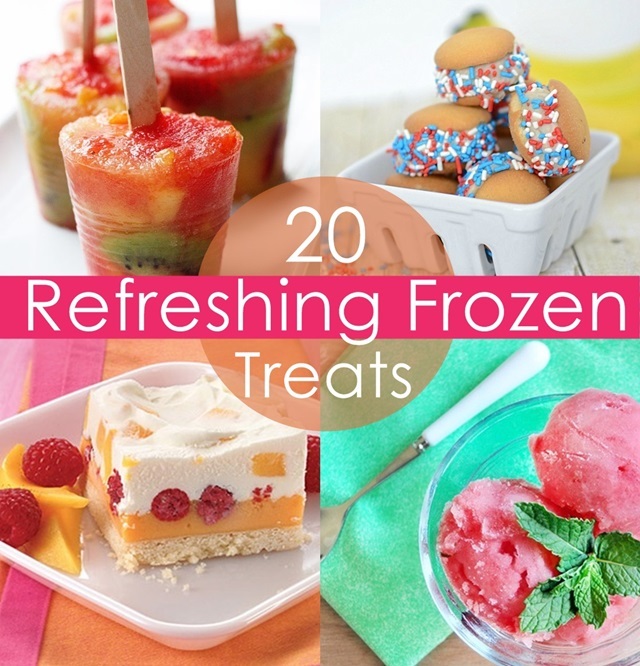 From fruit popsicles, to frozen icebox cakes – these 20 recipes will help you cool off all summer!